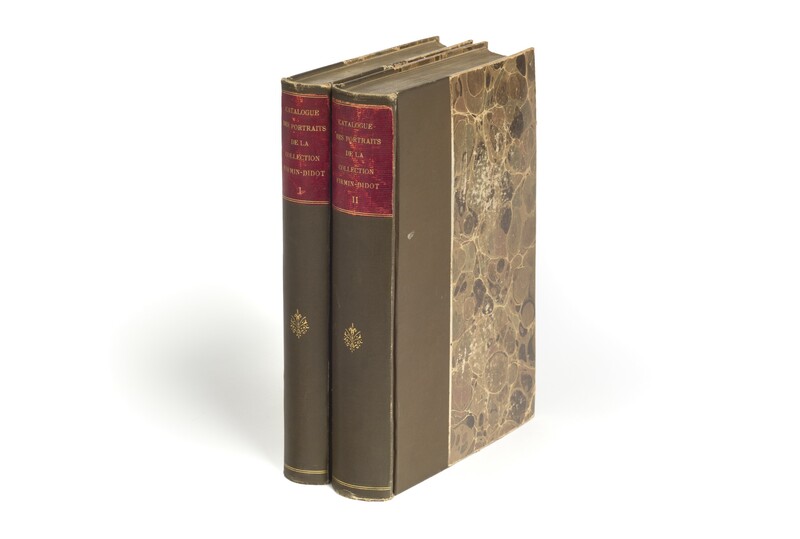 Two volumes (25 cm), I: xvi, 356 pp. II: 565 pp. 2488 catalogue entries. 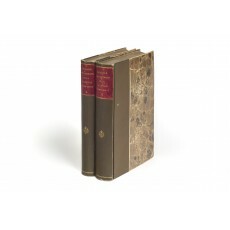 Uniformly bound in contemporary cloth-backed boards, red skiver lettering-pieces, top edges gilt. - Catalogue of French portrait prints in the collection of Ambroise Firmin-Didot (1790-1876); 2488 entries.”Tiré a 150 exemplaires sur papier vergé”, of which this is no. 27, intended for Charles-Marie-Gabriel Cousin (1822-1890?). ¶ Endpapers of both volumes have (binder’s?) inkstamp: Impr. Libr. Réunies; exlibris: Ian Roland Kerr-Ritchie; exlibris: A.C. Lascarides | New House | Ham Common. Repeated ink stamp: Kerr-Ritchie Art Library.